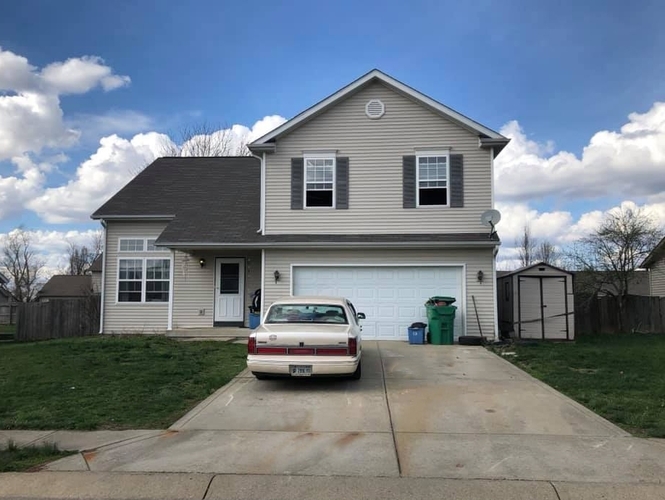 4 Bed 2.5 bath home offering a chance to have sweat equity if you are looking for a flip. Owners are offering a $15,000 concession for flooring and paint with an accepted offer! Furnace is less than a year old. Floor plan offers two living rooms on the main level, gas fireplace and dining area open to kitchen. Kitchen has a pantry plus huge storage room. Upstairs are 4 bedrooms and 2 full baths, washer and dryer hookup. Currently sellers have washer and dryer hooked up in garage but could easily be removed. Fenced backyard. 2 car garage. Needs TLC but a ton of potential with market values up to $230,000 for homes similar to this. If you know how to lay flooring and paint, this could be a steal! Directions:Smith Pike to carmola. Left on Norway. Left on Norway Court. Home will be on your left.